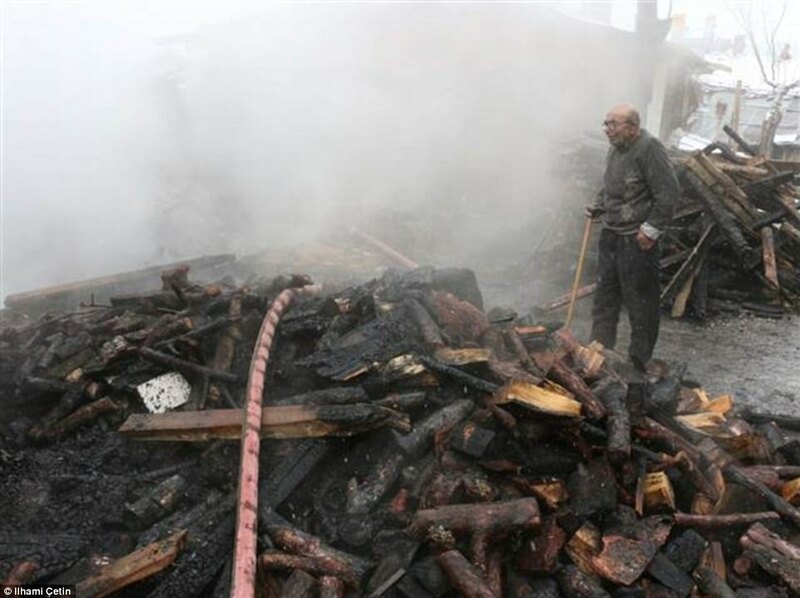 83-year-old Ali Mese, from Ordu Province in the Black Sea region of Turkey, stood in the street with tears in his eyes as he looked at what was left of his home. He had accidentally burnt his house down after trying to light his wood stove with gasoline. 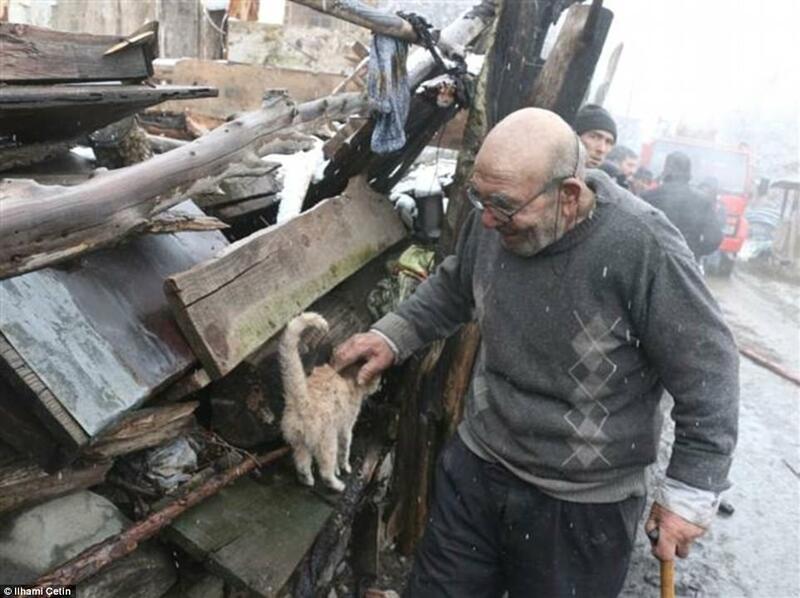 He lost everything he owned, except for one of his cats, Sarikiz. He held his most prized possession close to his heart, as he sought comfort. Neighbors called firefighters immediately after they saw flames coming from Ali’s house. Ali and his family, including the kitty, quickly made their way out of the house. Thankfully, none were harmed. 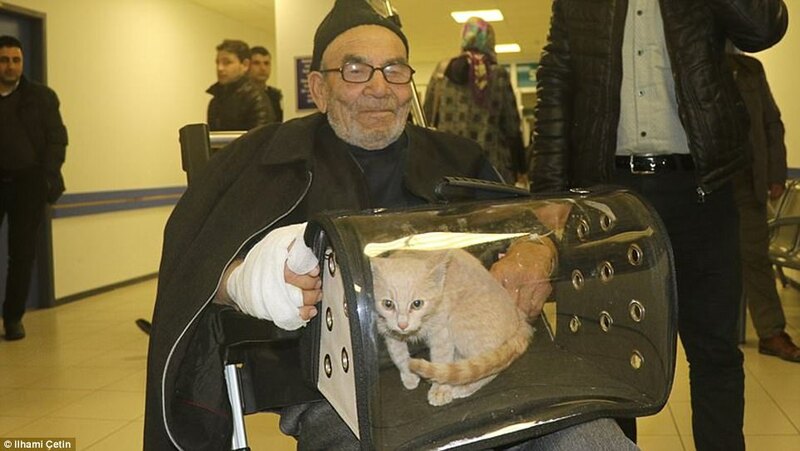 Sadly, the cat he was holding was the only cat who made it out alive. 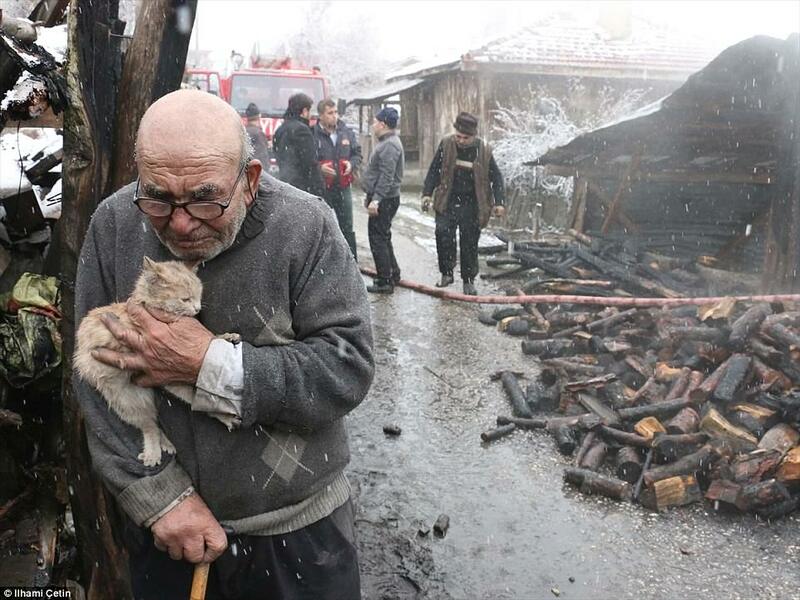 Ali had several other cats who perished in the fire, along with almost all of his hens. Ali was transported to the hospital to get his minor burns taken care of. 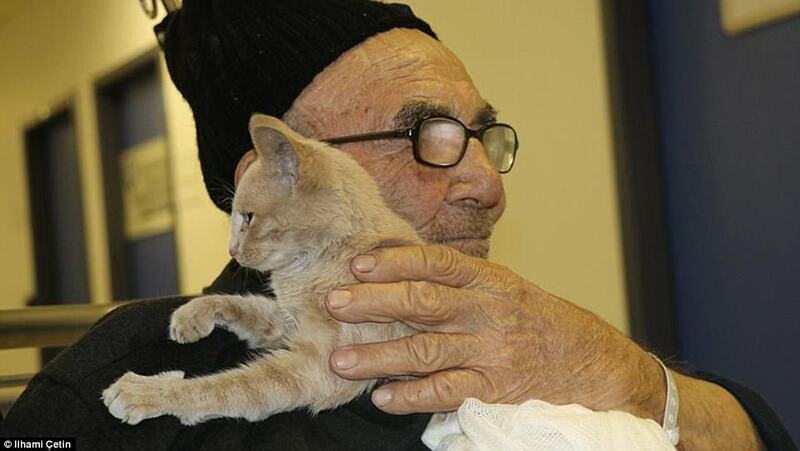 Once he was released, he reunited with his precious kitty and the two of them were beyond relieved to be together again after this horrible tragedy. The Bolu government sent a team to build a new house for Ali, and many generous people have donated more than $7,000 to a GoFundMe that was set up for him.